This comes shortly after the country's sovereign wealth fund purchased a minority stake in the electric car company. Earlier this week, Tesla's founder, Elon Musk, proposed a $72 billion deal to privatize the company, raising allegations that his move was in fact meant to manipulate prices on the stock market. Saudi Arabia's state-run Public Investment Fund (PIF) is exploring ways to get involved in a potential $72 billion deal to take Tesla private, Bloomberg reports, citing a source familiar with the matter. The Saudi sovereign wealth fund, which has acquired a minority stake in Tesla at just below 5 percent, reportedly sees investment in the company as a strategic way for Saudi Arabia, the world's biggest crude producer, to hedge against oil, the source said. It wasn't immediately clear how much the PIF would invest in Tesla. According to the person, the talks began before August 7, when Elon Musk, the founder and CEO of electric carmaker Tesla, proposed to take the company private at $420 a share, claiming that funding from unnamed investors had been secured. Tesla's stock initially rose 11 percent to almost $380 but then fell back, losing almost 7 percent over two days, as Elon Musk didn't provide any further details on the proposal. 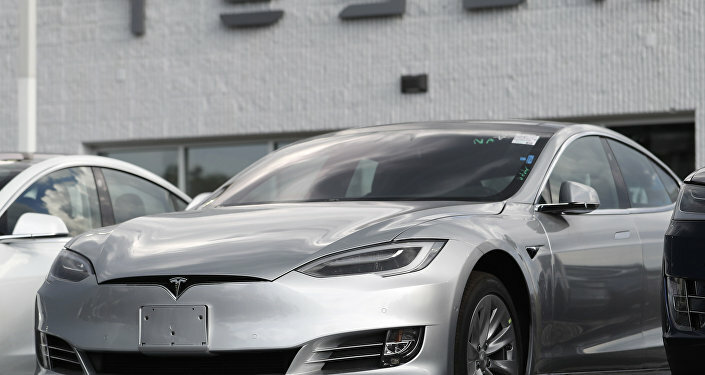 On Friday, he faced two lawsuits from stakeholders, who accused him of securities fraud, which was allegedly targeted at short-sellers, who were forced buy Tesla securities at "artificially inflated prices." In addition, the US Securities and Exchange Commission has made inquiries to the company over Musk's claims. Tesla is an electric carmaker that rolled out the world's first premium electric sedan. In Q2 of 2018, the company posted a $717.5 million net loss and a loss of $3.35 per share with revenues of $3.4 billion.